Darphin Arovita Eye and Lip Contour Gel will nourish and help to smooth the appearance of fine lines around your eye and lip area, restoring a radiant and youthful-looking glow. This comforting gel offers a complete anti-ageing formula to plump out fine lines while tightening and firming these delicate areas. 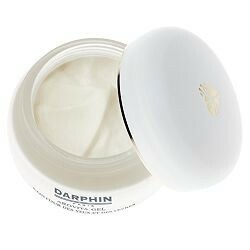 Darphin Arovita Eye and Lip Contour Gel contains rose, orchid and camomile extracts, formulated to give you a younger looking appearance.